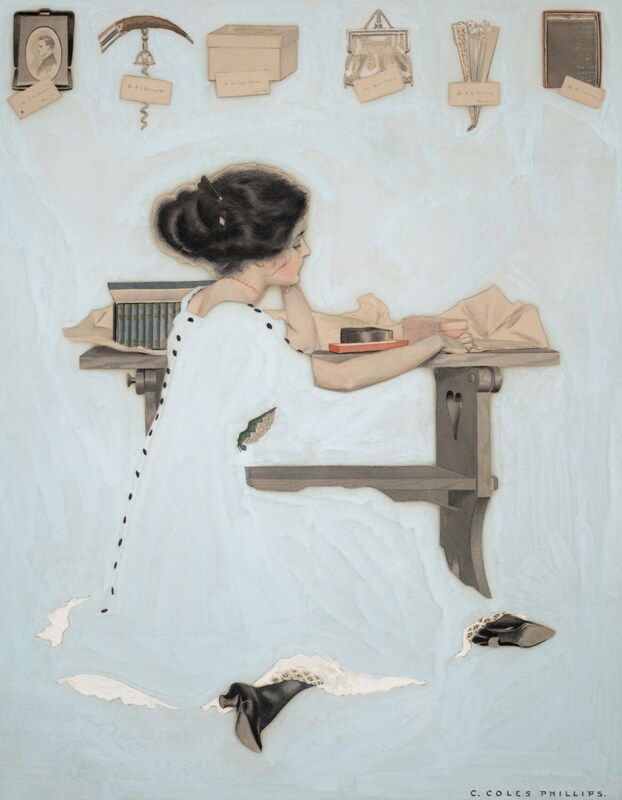 Coles Phillips was an American artist and illustrator who is best known for his signature use of negative space in his advertisement and magazine illustrations. In 1907, Phillips was hired by Life magazine and he would be associated with the magazine throughout his life. He created the "fadeaway girl" design with a figure whose clothes match, and disappear into the background. His fadeaway technique and use of negative space was loved by the readers and also a hit with the magazine itself as it brought down printing costs.